The image used as a background for this page shows (in a stylized manner) a seal, which is the modern symbol of Foca Belediyesi (Municipality of Foca). This because since ancient times the islets opposite the town host a small colony of seals: the Romans called these mammals phoca (Phoca vitulina, Linnaeus 1758) named after the town. Fochies (as the town was called by the Venetians) does not owe its fame to seals alone: the islets sheltered a small bay and the site was populated throughout all of history. The town is located on a low hill projecting into the sea and forming two natural harbours. In 1275 the Genoese established in Fochies their main base for shipping to Scio the alum (a compound of aluminium and potassium used in dyeing and tanning), which was mined in the nearby region. At a later stage they founded another town by the same name a few miles north of Fochies which was closer to the mining site; for this reason the old town is today called Eski Foca (Old Foca) and the new one Yeni Foca (New Foca). The town was fortified by the Genoese, but very little is left of the walls and towers which protected it: a much restored (the towers are brand new) stretch of the walls shows five gates which most likely were used to shelter small ships. The Venetians attacked Fochies in 1379 during the war of Tenedo, but in general the Genoese managed to retain the town until 1455 when it was conquered by Sultan Mehmet II. A much stronger fortress was built by the Ottomans on a promontory at the southern end of the bay: Fochies was with Cismes, a key naval base for the Ottoman fleet and the fortress ensured the Venetians could not attack the ships in the harbour. The fortress is in a military area and it is almost entirely in ruins. Notwithstanding its cannon in 1649 the Venetians attacked the fortress and managed to enter the harbour; the Ottomans, fearing the Venetians could land and seize the town, set fire to their own ships to defend Fochies. Fochies is the site of a large military academy and a pleasant sea resort: restaurants and cafés line up around its small harbour. 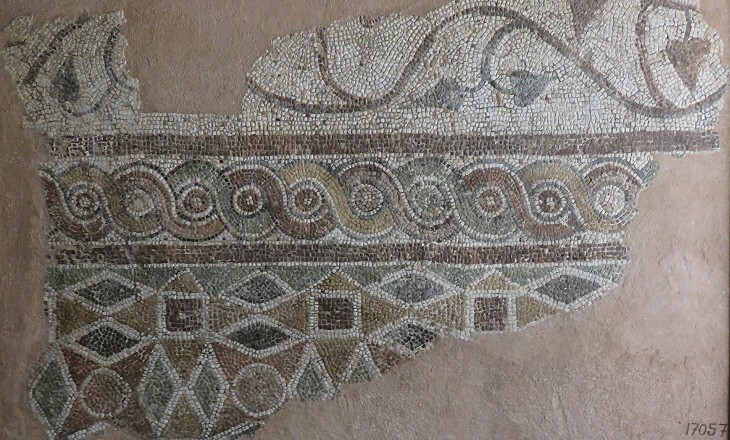 Phocaea, the ancient name of the town, played an important role in the diffusion of a more effective equipment to squeeze the olives in order to obtain their oil. It was made up of three heavy wheels, two of which rotated on the third one. Its inhabitants were also skilful seamen and they founded several colonies in the western Mediterranean Sea including Marseille, today the main French port. The large Greek community who lived in Fochies had to abandon the town when in 1923, at the end of a long conflict, the region was assigned to Turkey. The wealthiest families lived in nice stone houses which were left to rot for many years. Those which did not fall down now have been placed in a conservation program and have been or are being restored. The Genoese built a small fortress on the coast of the deep gulf which is located north of Fochies. The gulf was called after St. Bartholomew, but it is now known as the Gulf of Candarli, after the Turkish name of the fortress. 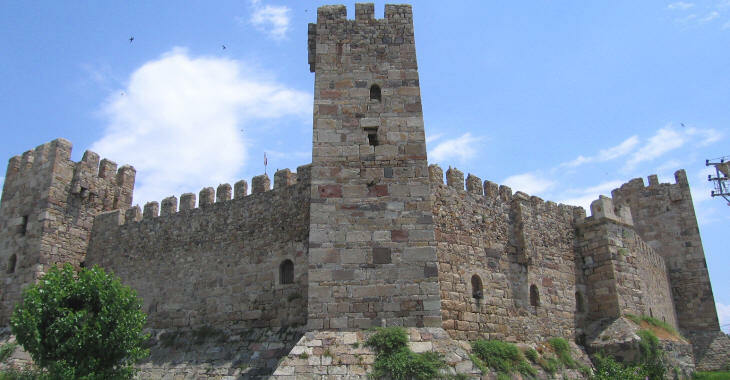 The Genoese fortress was strengthened by Halil Pasha Candarli, who was grand vizier of Sultan Mehmet II; he did not agree with his master's plan to conquer Constantinople and he paid with his life for having stuck to his point. The bases of the towers were enlarged to cope with the newly developed artillery warfare but overall Candarli is not comparable with the state-of-the-art fortresses built by Sultan Mehmet II at Rumeli Hisar and at Kilitbahir. Return to Scio or move on to Cismes.